It’s true that leather isn’t for everyone, but for those who are willing to give it a try in their interior design, the results can often be rewarding. Using leather in your home may seem too bold, or even tacky, for some people. 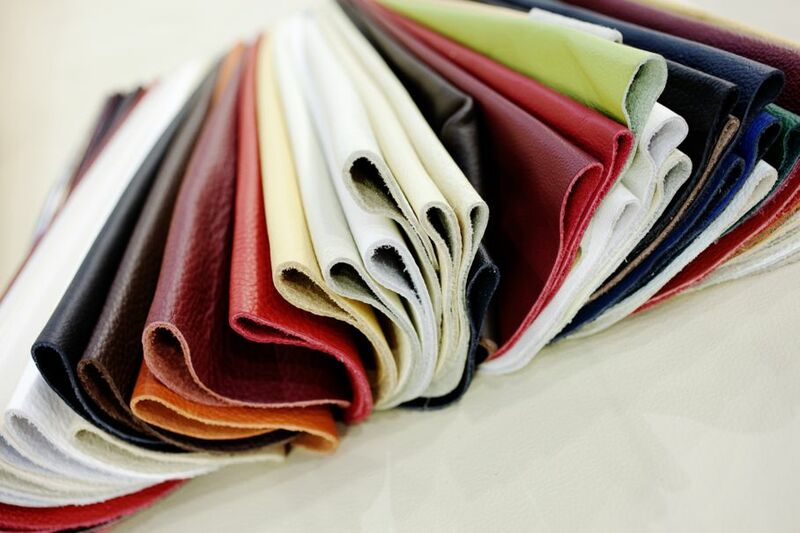 But when used the right way, leather can be muted to match the rest of your home’s interior design. 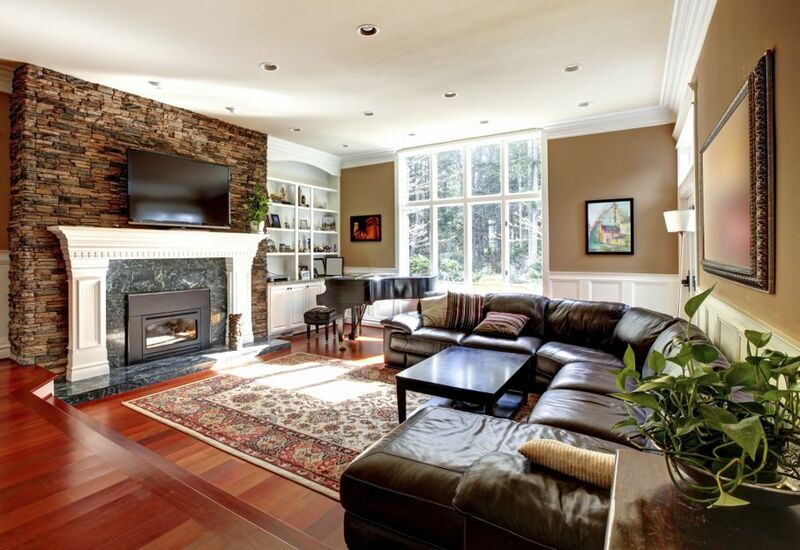 This article will give you some living room ideas for decorating with leather. While you’re using leather for your interior decorating, keep in mind that a leather sofa can be a staple piece in your living room. 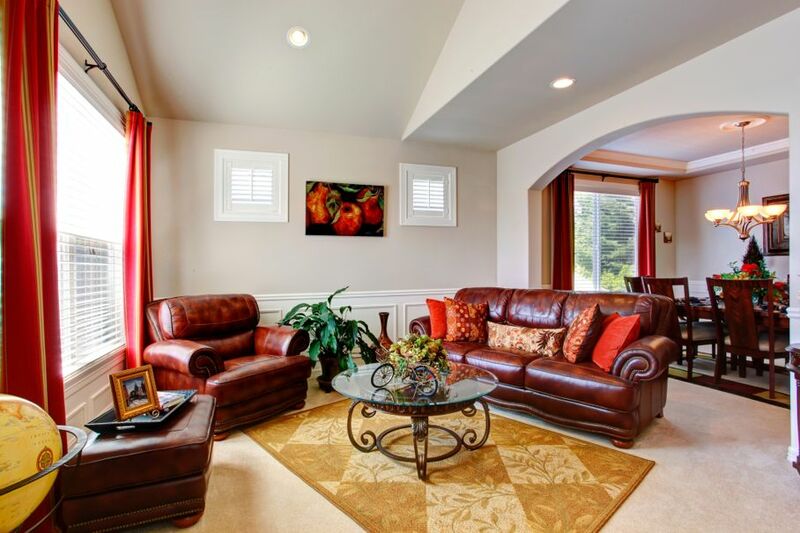 If you’re interested in having a big brown leather sofa, it's best to keep the accents around it soft and neutral. Opt for cream colored rugs, chairs, and curtains. Mixing too many bold elements will take away from the cozy feeling of the space. While decorating around a standout piece like a leather sofa, consider the textures you’ll be using. Soften your living room with a fuzzy rug accented by a dark wooden table. Consider how you can apply adornments. You can fill a vase with faux feathers, or even add a metal sculpture to the room. Although this is also a bold option, it can blend nicely with leather if you find the right piece. Make your leather couch look comfortable with a soft throw blanket and pillows. The colors you choose for your couch, and the furnishings surrounding, it are also important. A light-brown, cracked leather couch can go great with blue throw pillows or walls. Light brown leather creates a softer appearance for your living room and more potential to add colorful accents. A black leather couch can visually dominate a room, so remember to tone down your accents to avoid clashing. If a leather sofa does not suit your taste, consider using leather decorative items instead. Leather throw pillows on a soft-textured couch can be a stand-out accessory, adding some liveliness to a room. Certain leathers will also reflect light, so this is a nice touch if you want something with some flair. The nice thing about leather throw pillows is the variety that’s available. You can purchase leather throw pillows with interesting designs or faux leather pillows with bright colors. For a rustic look, try this leather folding chair. This unique chair can be placed in the corner of a living room, dining room, or bedroom, and is easily folded and stored. 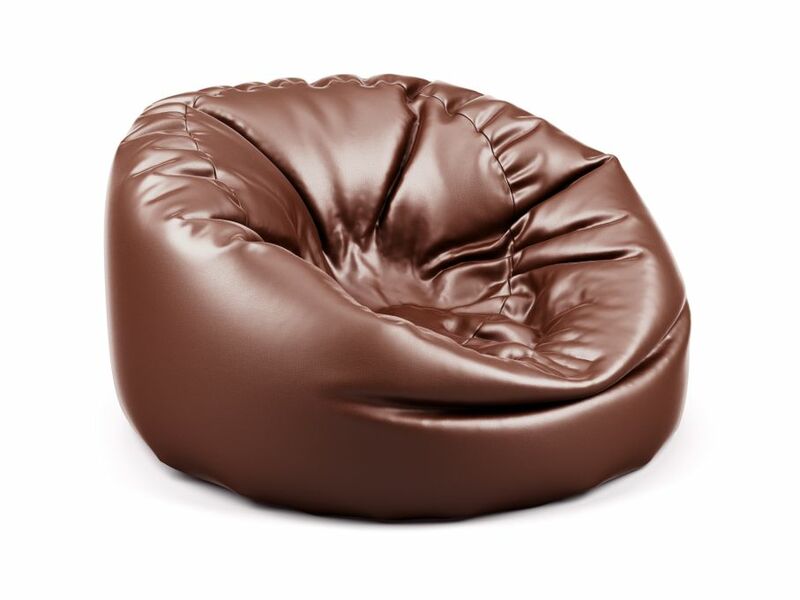 If you really love the look of a leather couch, but just aren’t ready to be that bold, opt for this leather beanbag chair instead for a similar look. For style and efficiency, try a leather ottoman with a storage opening. This is great for storing items, sitting, and also as a prop for resting your legs. Just because vegans avoid animal products doesn’t mean they are excluded from having the leather look. 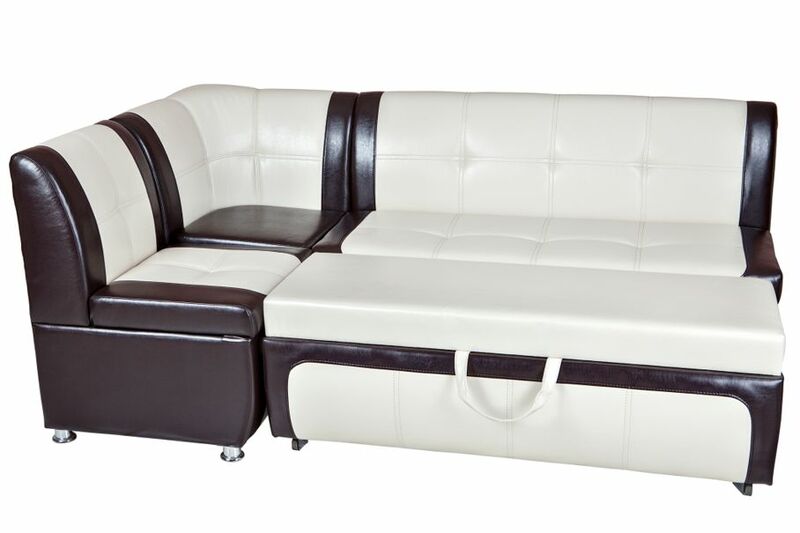 Faux leather couches are available with similar quality and variety as genuine leather has. 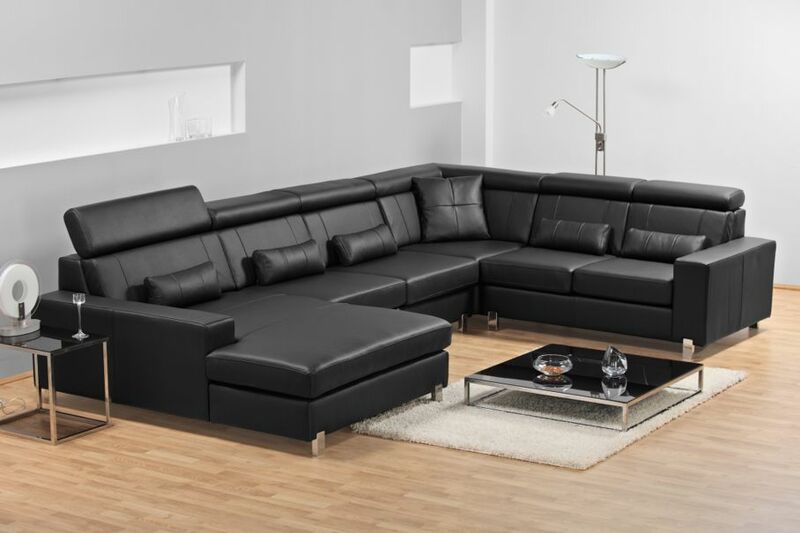 One advantage of faux leather couches are that they are less expensive than genuine leather furniture. Also remember that leather comes in other forms. If you don’t love the look of it in your home, you can use suede instead. A suede couch is naturally softer than standard leather and provides additional decorating options too. You can also purchase leather upholstery fabric, and start up a DIY project by creating your own leather furniture. It’s simpler than it seems, and you’ll have the creative freedom to design the furniture to your personal liking. It’s true that leather is not for everyone, but for those who are willing to give it a try in their interior design, the results can often be rewarding. For more great interior design inspiration read on to Easy and Inexpensive Ways to Upgrade Your Powder Room.